Eliza Leslie is often credited with the first chocolate cake recipe, published in The Ladies’ Receipt-Book (1847). She used grated chocolate in the batter, so it had a speckled appearance. I tried to make Leslie’s cake, but it turned out much too dense, perhaps because there was no baking soda or powder in the recipe, just lots of eggs for leavening. Then I tried a recipe by Sarah Tyson Rorer from Mrs. Rorer’s Philadelphia Cook Book (1886). It’s ironic that Mrs. Rorer — and I feel compelled to call her “Mrs.” — helped popularize chocolate cake, because she is considered America’s first dietician and her focus was really on healthy eating, especially of vegetables. 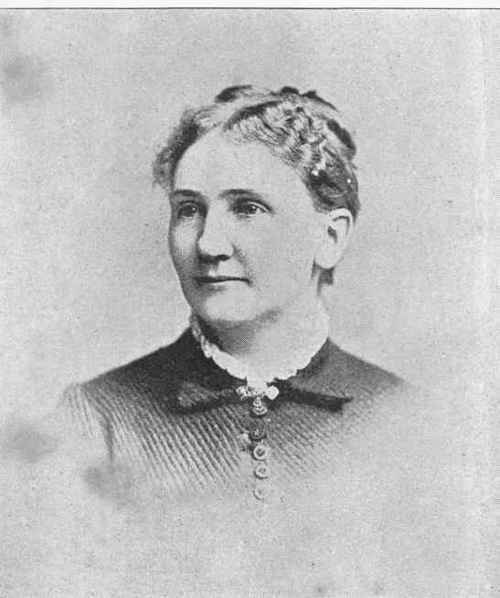 The founder of the Philadelphia Cooking School, she lectured widely about the impact of food on health, wrote cookbooks, and was apparently a household name in the late 19th and early 20th centuries. But back to the cake. Some consider Mrs. Rorer’s recipe to be the first modern-day chocolate cake, since it used melted chocolate (so the chocolate was fully incorporated in the batter) and baking powder, which had become more widely available over the course of the 19th century. The recipe contains just two ounces of chocolate, perhaps because it was still fairly expensive. Later recipes, including one for devil’s food cake in 1905, would contain twice as much. Mrs. Rorer’s recipe called for using one cake pan, but the batter was enough for two eight-inch pans. I tried it both ways. When I used two pans, I made a layer cake, which might not be historically accurate for this recipe, but layer cakes were common by the 1880s, and Mrs. Rorer did write recipes for them, though not for chocolate. Anyway, I also tried it with one pan, just in case she was rolling in her grave over the liberties I was taking. 1. Preheat oven to 350°F. Generously grease one 9-inch or two 8-inch round cake pans, put parchment circles on bottom of pans, and grease the parchment. 2. Dissolve the chocolate in 5 tablespoons boiling water, stirring until smooth. Set aside to cool. 3. Cream the butter, then gradually beat in the sugar, about 1/4 cup at a time. Add egg yolks, one at a time, beating after each addition. Gradually add whole milk, beating well. Add the cooled chocolate and vanilla extract to this mixture and blend well. 4. Whisk the flour with the baking powder and salt. Add flour mixture to the batter gradually (about 1/4 cup at a time), blending well after each addition, but do not overbeat. 5. Beat the egg whites until stiff, then blend into the batter “quickly and lightly,” as Mrs. Rorer put it. Pour batter into cake pan(s). Bake for 30 minutes if using two pans, 40-45 minutes if one pan, or until a cake tester comes out clean. Let rest in pans for 20 minutes, then turn out onto rack to cool. Frost with boiled white icing or chocolate icing (below). Melt the chocolate with the milk in the top of a double boiler, stirring frequently. When smooth, add the butter and remove from heat. Cool completely, then gradually blend in the confectioner’s sugar, until the icing is sufficiently thick to spread (you may need to add more sugar if frosting a layer cake). Stir in vanilla extract. This entry was posted in cake, desserts and tagged baking powder, boiled icing, chocolate, chocolate cake, chocolate icing, cocoa powder, Eliza Leslie, food history, icing, layer cake, Sarah Tyson Rorer by revolutionarypie. Bookmark the permalink. Hi Becky. Your cake looks lovely. I have a confession: I tried Patent’s recipe as well (I’m a big fan of his), but it didn’t come out well for me. I’ll give it another shot someday — maybe I overbeat the batter. Thanks! Yes, if you give it another try, do let me know how it turns out. Beating each egg thoroughly one at a time creates a “foam” and makes the cake lighter – perhaps that will help? 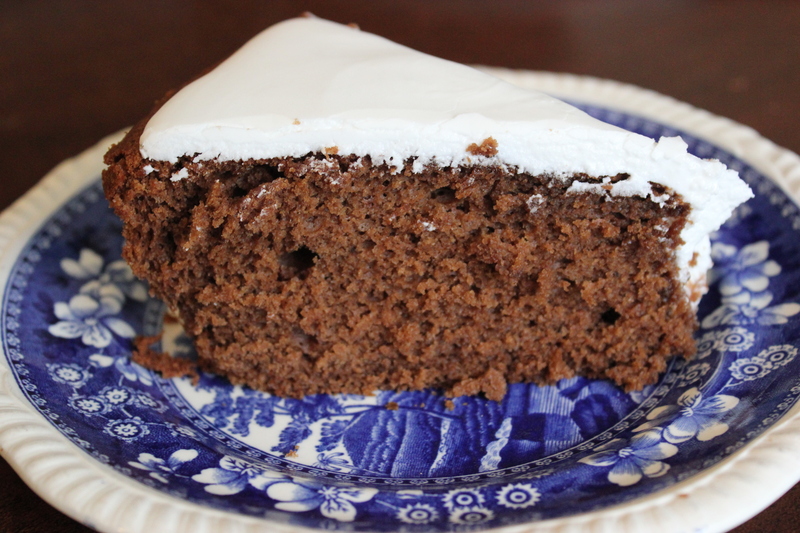 And I love how you frosted Mrs. Rorer’s cake with Eliza Leslie’s boiled frosting recipe … I know what you mean about it needing a little something to finish it off! Wonderful post. Loved the chocolate lesson. I just happen to have a copy of one of Mrs. Rorer’s books and after this post, I’ll have to pull it off the shelf and do some reading. Glad you liked it. I want to get Mrs. Rorer’s New Cook Book (1902), which I gather is her most important work. She wrote so many books, and then lost all her money in the Depression. So sad! I have Mrs. Rorer’s Philadelphia Cookbook, 1886 edition. Just looked up the chocolate cake recipe – right there in the chapter on Fancy Cakes. She must have been elderly during the depression – doubly sad to lose all her money at that time of life. Interesting and well-written. Thanks for including all the steps in your recipe trial – even the ones that didn’t work (such as too much batter for the pan). Historic recipes are often vague so they don’t always work on the first try!